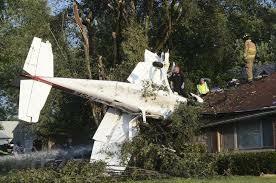 At least seven people have died after a plane crashed into a house while trying to take off. The incident happened outside the Philippine capital on Saturday. Police and aviation officials said the twin-engine aircraft crashed into a house just after taking off in Plaridel town. All five passengers aboard as well as at least two others on the ground died. The death toll could rise as rescuers were still going through the ruins of the house, police told Daily Star. The cause of the crash has not been disclosed by officials. The Piper PA-23 Apache was operated by a local charter company.